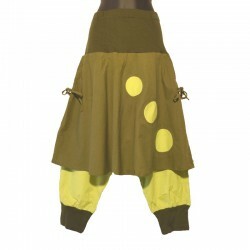 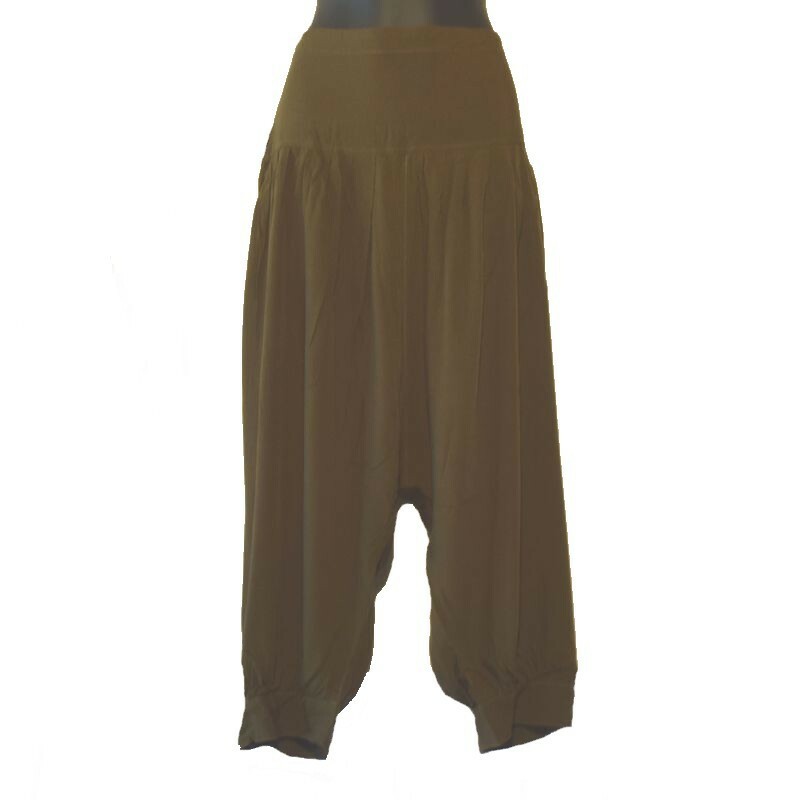 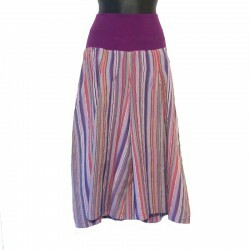 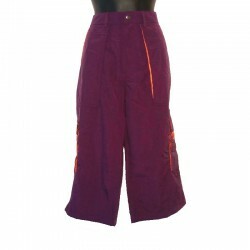 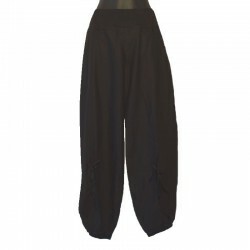 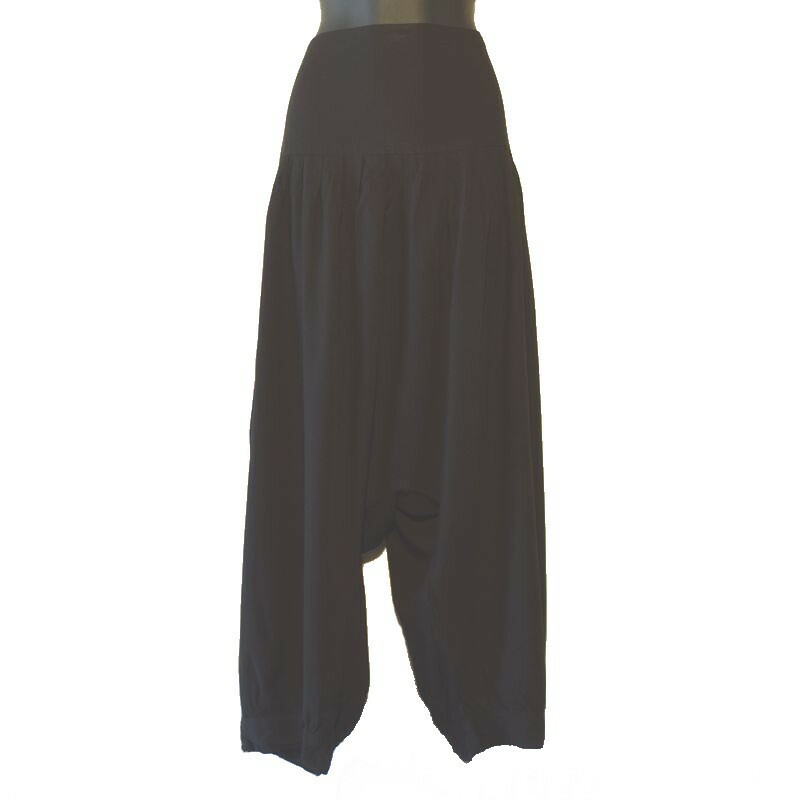 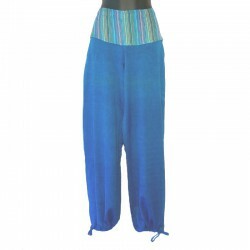 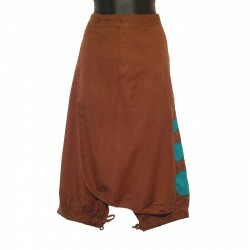 Plain short Harem pants, zipper on the left side and drawstring on the right side. 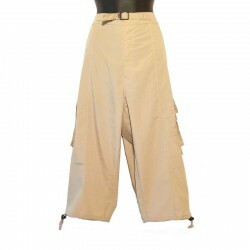 Coconut buttons on the lower legs. 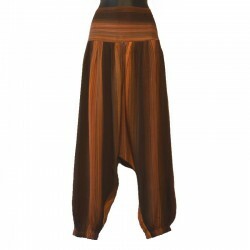 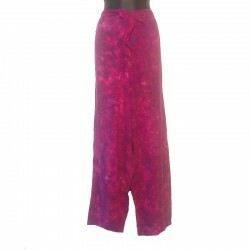 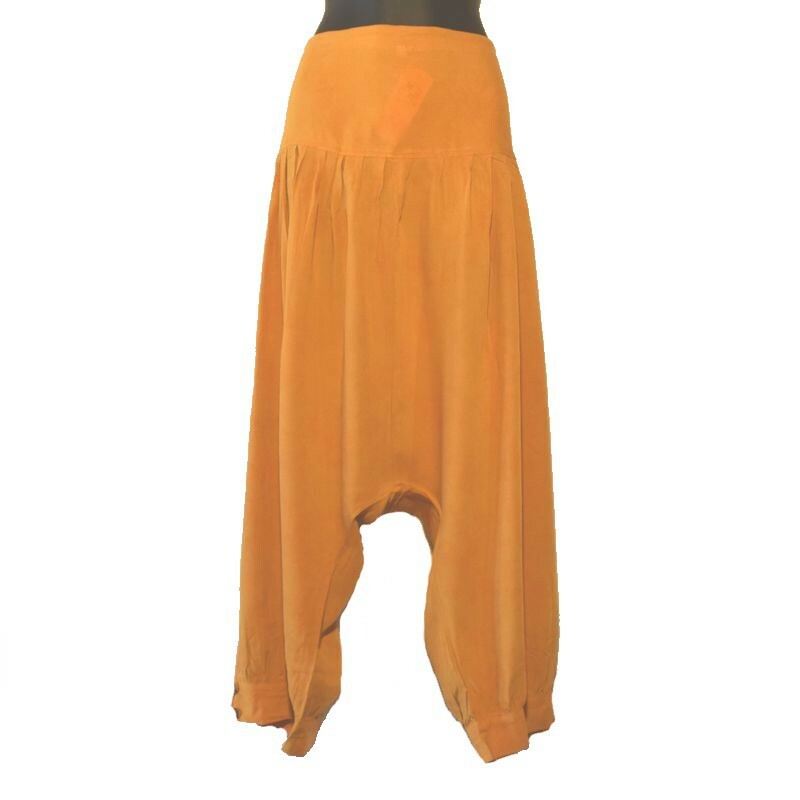 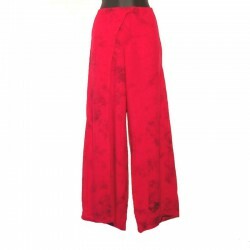 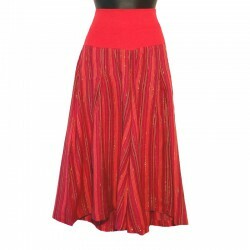 Ethnic harem pants with the perfect cut for a trendy look. 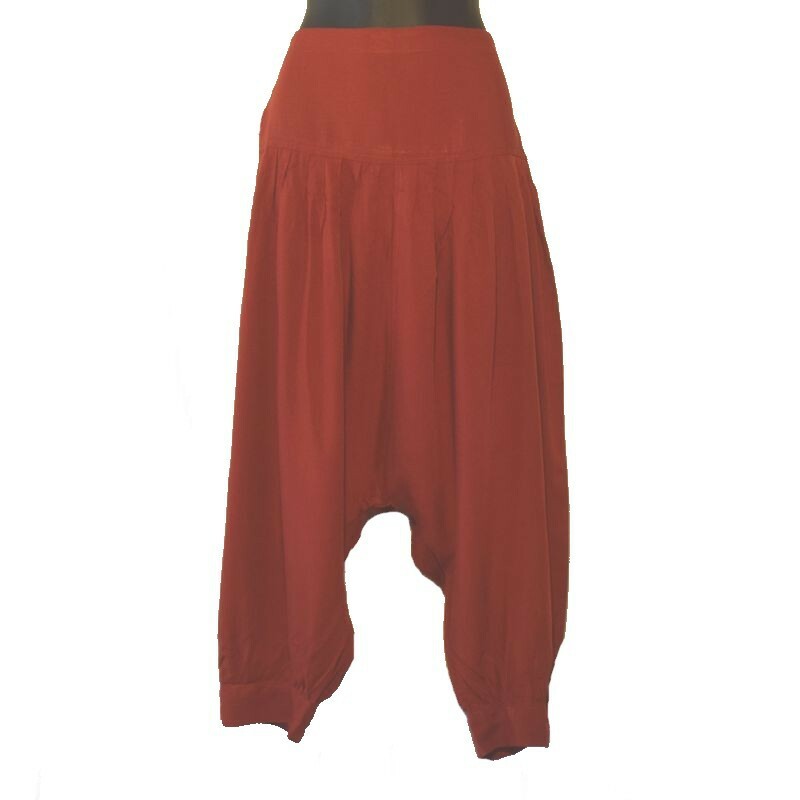 Ethnic sarouel pants available from 6 US to 12 US.